Craghoppers’ #Choose Your Adventure contest has got me thinking. Not just because it could fund and equip the next trip. But also because we all love a good adventure story – tales of trails trod and hardships endured can help nudge us towards our next challenge. Ripping the top off the ration pack, I stuffed it in my pocket to stop the wind whipping it away. I poured water that had taken ages to boil onto the dehydrated food, re-sealed the packet and waited for the contents to become edible. 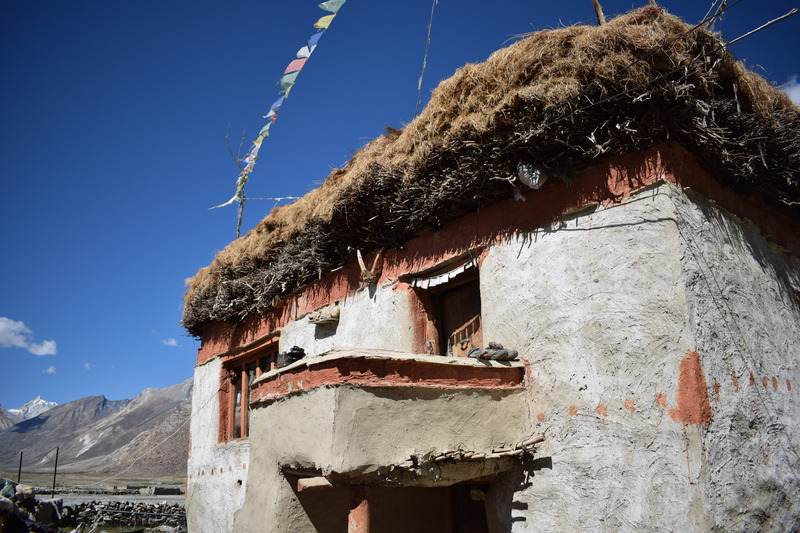 The wind swirled down from jagged peaks, whirling up flakes of crumbled yak dung, dust and grit. Welcome to dinner time at around 5000m in the Indian Himalaya. These were challenging days – I was part of a team leading for British Exploring, a charity that specialises in youth development in remote locations. 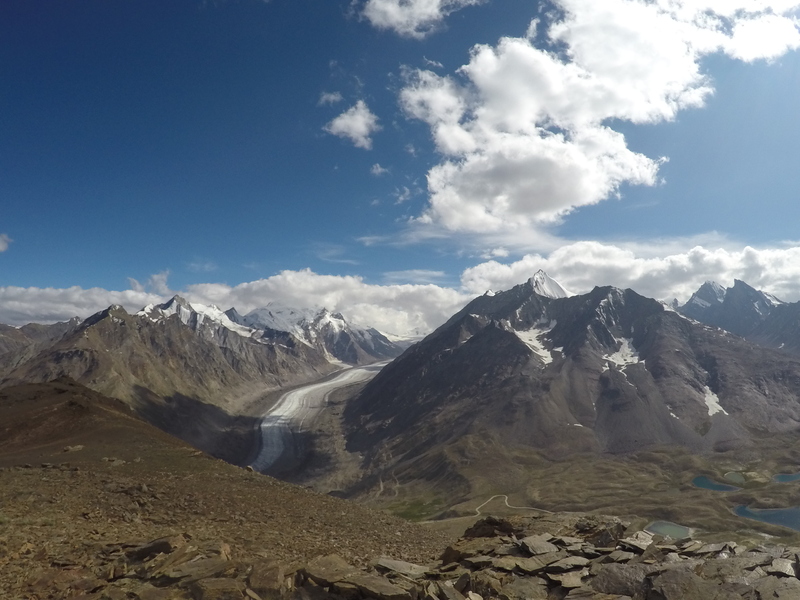 We spent five weeks in the Ladakh province, trekking, climbing, glacier walking and carrying out scientific fieldwork and media projects (the latter was my role). We also learned how to not just survive but also thrive in this harsh environment as part of an expeditionary team. Challenging days, yes. But also remarkably rewarding. And full of memorable moments. Cleaning your teeth beneath a spectacular array of stars. Multi-coloured prayer flags fluttering on high passes. The trudge, trudge, trudge of scaling peaks at altitude – and the extraordinary views that are your reward. “Those mountain stay with you,” said a friend before I left. She’s right – I can still see them in my mind’s eye. And then there were the people. Gutsy expedition members, leaders and young explorers alike, who laughed amid the hardships. The locals who were generous with what they had, even when it was comparatively so little. And the ‘you’ that emerged along the way – who was much stronger than you thought. Truly we can all do so much more than we think we can. All this came flooding back when – six months and 4000 miles later – I put my hand in that same jacket pocket. And found the top of the ration pack that I’d tucked away to stop it being caught by Himalayan winds. This time I was on a GetOutside adventure on a beach in south Devon. My friends and I had walked perhaps a mile – this time at sea level, not 5000m. 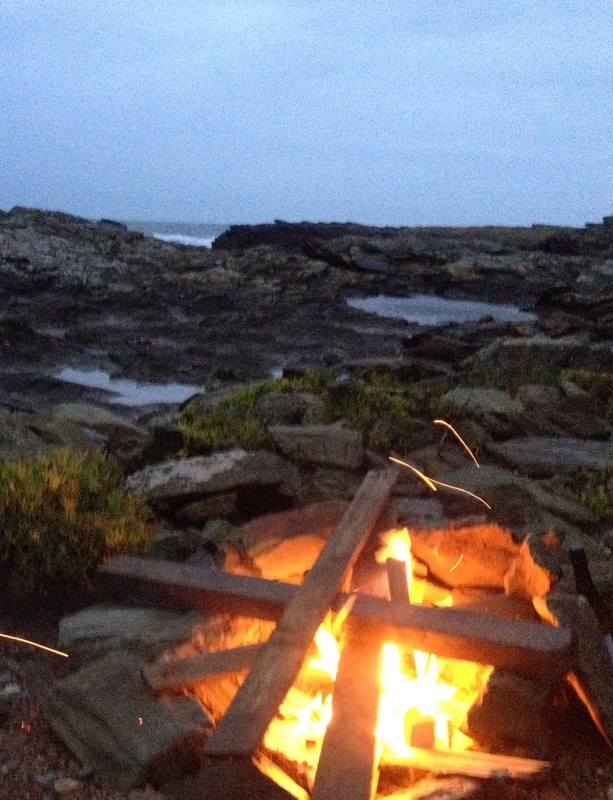 Instead of battling with temperamental stoves we’d built a driftwood fire and were cooking our dinner on it. And as I looked at that fragment of a past adventure, I considered that you don’t have to travel half way around the world to make moments to remember. The woods, beaches, mountains and moors of the UK are an adventure playground all of our own. We just have to see the possibilities and seize them. To work out how to get out there – safely and responsibly. To gather friends and family and set off to explore our worlds, wherever they may be. Hike, cycle, run, swim, kayak, camp, climb – the possibilities are endless. And each time we go out we add to our own adventure story. And the clothes we have those adventures in become part of that narrative. My expedition jacket as well as having some ingrained Himalayan dust, now also smells of Devon wood smoke. My trekking trousers are now also fringed with Dartmoor mud. The rucksack that bears the scars of a DEET leak from a trip to the Canadian Yukon, now also has rosemary in a pocket, gathered from a Spanish climbing crag. And Craghoppers will be playing a part in this year’s adventure stories. My Ordnance Survey GetOutside coat has been my default activity jacket for a year and a half. Now a windproof jacket, zip-up fleece, and down/synthetic jacket have been added to my kit list. I’m taking them with me to Iceland this month to test on wilderness hikes, kayaking trips and remote campsites. They’ll get battered, grubby and probably more than a bit smelly. But after leaving the Westfjords to return to England’s West Country, I’ll perhaps wear them as I head out wild camping, climbing, kayaking and wild swimming. And I’ll put a hand in a pocket and discover another reminder of big skies and wild spaces. Because the adventures I choose are the ones that keep rolling on. That’s one of my adventure stories – what are yours? Through #ChooseYourAdventure, Craghoppers is hoping to hear tales of interesting people and places. Near or far, big or small, your story of the places you’ve been, and the kit that’s gone with you, could win you £6000 towards a travel holiday, and £500 of Craghopper clothing. Check out the website for full details and conditions – the contest closes on 30/07/2018. Buzzard-eye views, icicles at eye level and learning new skills. “Don’t look down” people always say about heights. And sometimes, as a still fairly new climber, I’ve taken a glance ground-wards and really wished I hadn’t. But this time, part way up my first winter climb I did look. And I didn’t mind. In fact I just grinned. Because we were so high. The rock cut away steeply and there far below was the valley floor. It looked a geography text book. A river doing a loop-the-loop. Boggy patches. Clumps of trees. It looked like a view from a plane. But it wasn’t. It was the side of a corrie in the Cairngorms. And we’d climbed all the way up here. We’d driven to the Glendoll Forest car park in Corrie Fee (OS Grid Ref: NO 284 760) and hiked for about an hour west/west-southwest. Then we headed for the foot of B Gully. Out came crampons, climbing harnesses, helmets, ice axes, ropes and gear. As this was my first winter climb, my buddy Taff talked me through some key techniques, then he was off up the gully, leading the first of what turned out to be seven pitches. For me it was a strange but exiting climbing experience. Mostly on snow with sections of rock and shorter stretches of ice. Instead of climbing shoes and chalk bags, this was about heavy boots and crampons gripping the snow. Hefty gloves kept getting caught in carabiner clips. This involved, effectively, making hand and footholds – jab in a crampon, thwack in an ice ace, stretch and grip with an extended, pointy metal arm. 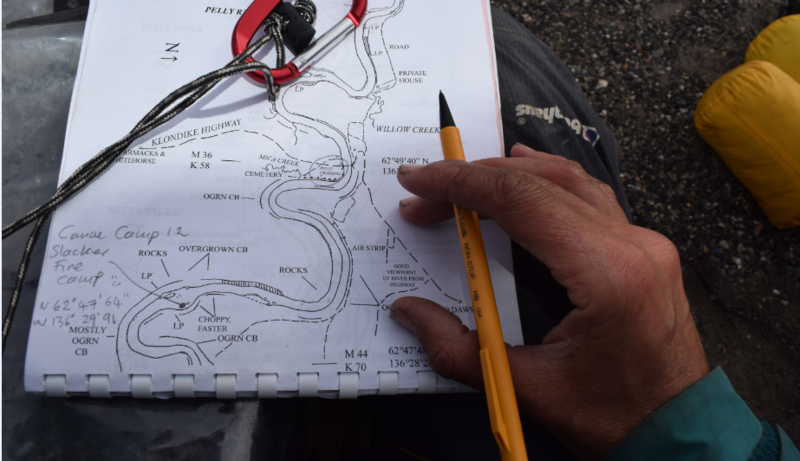 At each pitch Taff would climb – placing gear, leading the way, setting up the rope route for me to follow. Each time as he disappeared from sight I’d become aware again of the silence, the height, the snow and the view. I’d become aware that this was an extraordinary way to experience this environment – half way up a mountain, secured to a rope, attached to metal wedges by someone with knowledge and skill. As usual, on these GetOutside adventures I learned so much. How to plant ice axes in the snow to create ‘handles’, how to flip the wrist to jab the points in for a sharper grip. Using axes in ice and frozen peat, and for leverage between sections of rock. Jabbing crampons into the ice and keeping your heels down. And as usual, there were broader lessons. For me a lack of fitness and finesse – I don’t get to hike hills like this that often and, when combined with being a winter climbing novice, this made me slow. So I apologised to my buddies for slowing them down. One said no problem – that’s how it works – you can’t learn some of this stuff without getting out there. So people who’re more experienced take you out. They, literally, show you the ropes – take the time to help you because somewhere along the line, someone else will have done that for them. It’s a kind of great GetOutside relay. The route we did was B Gully, past the bottom of B Gully chimney, then up A-B Direct. It was a 7 pitch, grade II climb of 180m. The Ordnance Survey’s Beginner’s Guide to Climbing has more information about getting onto Britain’s crags. The GetOutside pages are packed with inspiration and tips about other ways to explore our great outdoors. It almost goes without saying, that attempting any of Scotland’s winter climbs is a serious business and requires the right level of kit, knowledge and skill. Make sure you have all three. 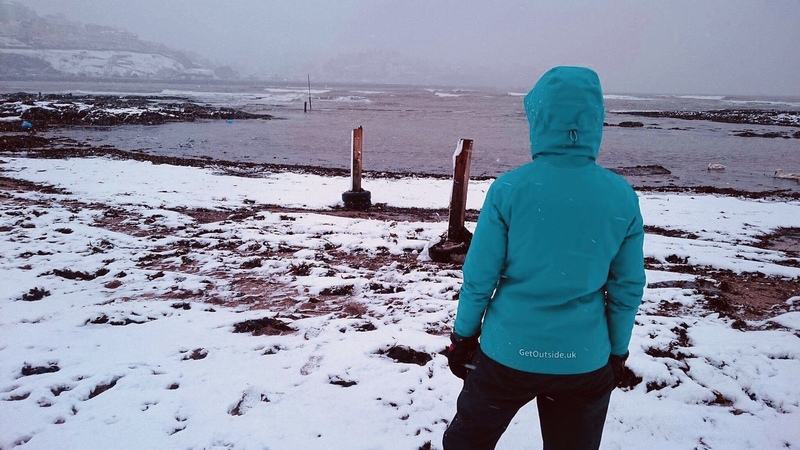 In you’re interested in winter walking, this article from fellow GetOutside Champion, Emily Thompson outlines some of the key things to bear in mind. Huge thanks to Taff, Sally and Daniel for helping me get out there. Where’s next?! 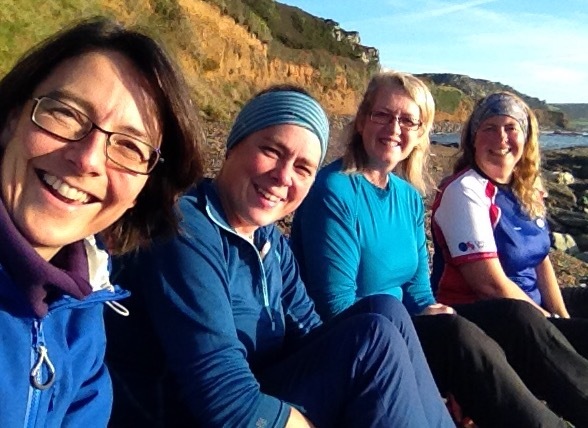 What made three Devon women ditch their duvets one chilly February night and sleep out under the stars? And how might you have a go? If a picture tells a thousand words! For me this is the epitome of why I love to GetOutside. It’s about laughing, feeling truly alive and being outdoors with great mates. The fact that I look ridiculously like a pupating caterpillar is an absolute bonus. The photo was snapped in mid-February by fellow Ordnance Survey GetOutside Champion Fi Darby of Two Blondes Walking. It was about 7.30am on a drizzly Saturday morning. We were on Dartmoor. I, Fi, and adventure chum Ju had just had a wonderfully wild night out. We’d been bivvying – wild camping without a tent – and had just woken to a soft, still dawn. During the night I’d felt a fleeting scatter of rain on my face. As the skies lightened the outlines of the rocks surrounding us became clear. The slope that dipped away just below us emerged. Way down in the valley was a village, with a tall church tower and a snake of smoke signalling someone’s fire. It was a gift. And one that, one way or another, even if we often can’t take it, we’re offered each day. It’s made made me think about seizing these GetOutside moments. About the friends, knowledge and places that mean we can be outdoors – can laugh and truly feel alive. And that if we can look more than a little ridiculous as we do it – what a bonus. So that’s the Why GetOutside and bivvy. What about the How To GetOutside and bivvy? I’m no expert, but luckily others are – see this great GetOutside post from Two Blondes Walking on How To Go Wild Camping on Dartmoor. It covers the simple but strict rules you need to abide by and the places on the moor where responsible wild camping is allowed. It has a link to a map of those locations, and outlines environmental concerns, safety, kit and – the thing everyone wonders about- what to do about waste; yep, the toilet stuff. So how did we get to wake up on that Dartmoor tor? First supper in a local pub, then a torch-lit hike up the hill. We saw lights on the tor Fi and Ju had tagged as a possible sleep spot, so detoured to the one next door. Then followed what was actually a rather short amount of dithering considering the many things we needed to consider. Such as whether we wanted to put up a tarp (“Shall we bother?” “No”). The need to be out of the wind – although warmer than forecast (around 4 degrees), the wind was chilling. The preference for flat-ish ground (“what about here?” “Great”). And the need to have rocks to our backs because one of our number really doesn’t like cows (I mean, who wants a cow walking onto them in the middle of the night, right?). Then it was time to roll out the roll mats, slide sleeping bags into bivvy bags, decide how many layers to keep on, stow rucksacks in case it really rained and hunker down on the hill. Then chat sleepily and drift off under clouds that (apparently) cleared occasionally to reveal stars. Waking in the middle of the night to look up straight at the plough is always rather fun. I’d love to hear your wild camping stories – do leave a note below. 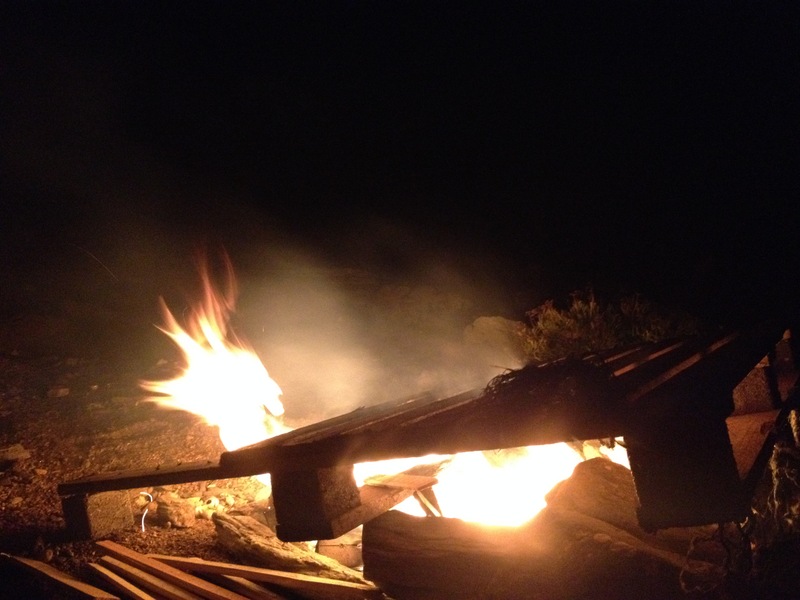 And if you’d like to camp wild but don’t – what tends to get in the way? A huge thank you to Fi Darby and Ju Lewis for masterminding the bivvying. Three weeks into the New Year is a tricky time. Still-dark evenings, harsh weather and (perhaps) some resolutions that haven’t quite survived. But those aren’t reasons not to GetOutside and walk. They’re precisely why we should. Like cute dogs, resolutions are not just for Christmas (well, New Year). 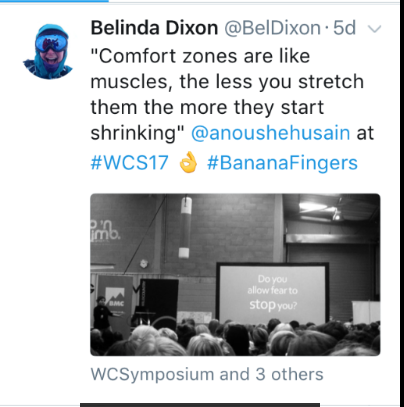 Why confine defining our aspirations to a week in early-January? Yes, it’s fabulous to start a new year with big, bold ambitions, and long may they last. But we can actually re-invent ourselves throughout the year. So this week you could chose to walk further than last week or discover somewhere new. Or, like GetOutside Champion Zoe Homes, it could be to spend an hour a day outside. And there’s still time to join the stirring #walk1000miles campaign from Country Walking magazine. This challenges us to walk 1000 miles over a year. That it’s the same distance as hiking from Scotland to Poland might feel daunting. But see it as an average of 2.74 miles a day – around an hour, and it’s much more manageable. The magazine is full of testimonials of those who’ve done it – it’s transformational stuff. Find out more at the Ordnance Survey’s #walk1000miles page. For route inspiration, see my GetOutside article on Five Classic West Country Winter Walks, it features the places in these photos. Here’s something more than a little startling. Six million UK adults don’t do a monthly brisk 10 minute walk. That means four out of 10 of those aged 40 to 60, are walking less each month than 10 minutes continuously at a fast rate – according to Government research. Now you could head to the gym and jump on a treadmill to clock up the minutes, but that’d mean no fresh air and little natural light. Or you could head outside your door, wherever it is, and walk fast-ish for more than ten minutes a month. Or perhaps make that a day. An achievable goal? We know its true. How often has your mood lifted within 10 minutes (even less) of getting outside? Skies arch overhead, the trail stretches in front, perspective returns. The official take on it is that physical activity can help people with mild depression, with many experts thinking it produces chemical changes in the brain that boost our mood. Add a cracking view and you’re onto a winner. 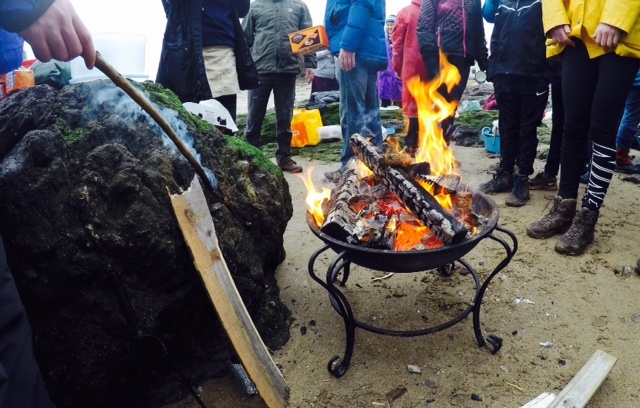 It’s no coincidence then that the mental health charity Mind is keen for people to pull on walking boots for their fundraising efforts – including the Mind Hike, a 24 hour trek through Cornwall. Other hikes for the charity include those in Wales, the Isle of Wight, the Peak District, south coast, London, Dorset and Iceland. My friend Steph Powell is one of those who has very good reasons to be taking on the Mind Hike, her story and fundraising page are here. We’re three weeks into the new year. Which means there are still around 340 days in which to discover somewhere new. Imagine! Even if we do it by week, there are still 49 chances to find somewhere incredible that’s new to you. Even if you only manage a discovery every other week, that’s still 24 (point five) fresh places to fall in love with. Head out with loved ones or friends, or make new ones – the wealth of walking groups nationwide means you can discover new people en route to new places. I’m writing this with rain showers spattering the window and gusty winds buffeting the roof. On the coast the sea is bouncy. Which means I’m not about to do many of the GetOutside things I love – no sea-swimming, kayaking or climbing; in these conditions it simply wouldn’t be wise. But I can walk. I have waterproofs, there’s sunshine amid the rain showers and a quick blast of knifing wind and stinging rain can be a good thing. It takes your mind off your preoccupations, it makes you feel alive – see my post on my Three Great GetOutside Resolutions; to Live, Laugh, Love. Of course, sometimes the weather means you can’t get out and walk. That’ll depend on conditions, equipment, skill and making the right decisions. It’s important stuff – see GetOutside Champion Emily Thompson’s six Top Tips for Making The Most of Winter. 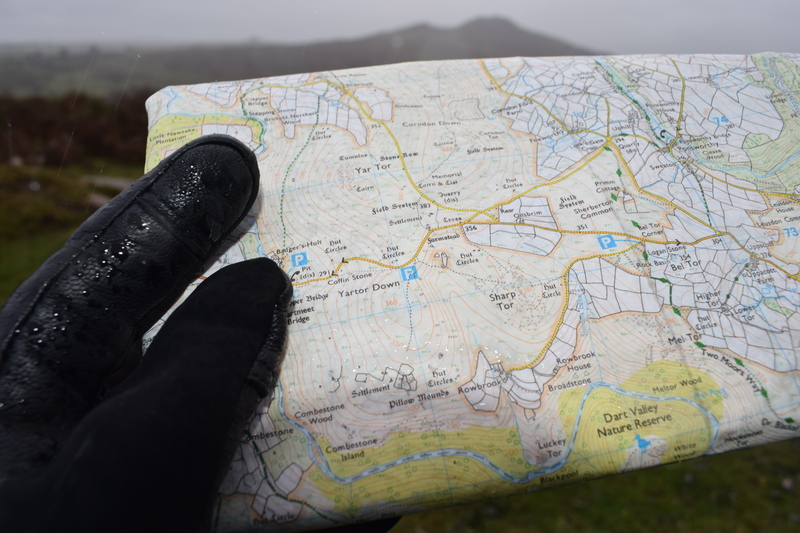 The Ordnance Survey’s Walking pages are packed with inspiration and advice, including this piece from GetOutside Champion David Love on your First Winter Walk. By which I mean – really feel alive. 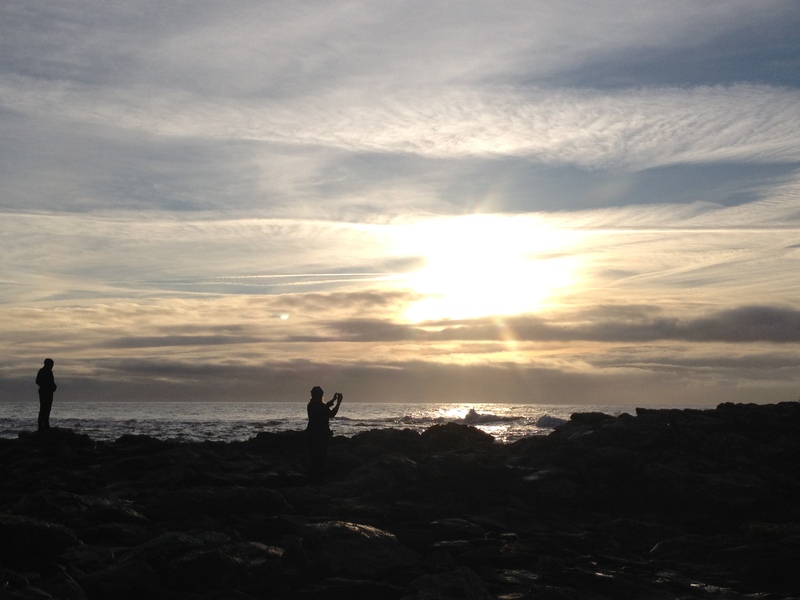 There’s something about being in the outdoors, encased by sky and ground or sea, that reminds you you’re alive. Perhaps it’s the elements – feeling hot, cold, buffeted by the wind. Perhaps it’s the sensations – feeling the rock rough beneath your fingers. The shingle crunch beneath your boots. The mud squelch under your wellies. Being held up by, or churned about in, waves. Perhaps it’s the sensation of speed – speed you’ve generated yourself, by running, cycling, swimming. Perhaps it’s being a little scared – climbing a crag, doing a first solo bivvy, entering your first Park Run. Or perhaps it’s simply because big hills can make our problems seem smaller and wide horizons can broaden the mind. Whatever it is, it helps you feel alive. So my first 2018 GetOutside resolution is to feel this kind of alive – to really live – at least once a week (hopefully more!). This one’s broad. It’s a bit like being alive – but here it’s about being aware that you’re delighting in something – it may be the moment, being with a group of people, or the place. And for me this tends to happen outside. This GetOutside Love is in some ways similar to the thing we can call Romantic Love – it’s the moment when things seem right. An example is useful here. Take my first time sea cliff climbing, in Cornwall, at Bosigran. As we stood at the foot of a crag part way up a cliff, one of the people I was with looked around and said “only birds and climbers can be here. Climbers and birds”. And I thought, or rather sensed, “yes – this feels right'”. As with Romantic Love, even the most obtuse of us know when we’ve been walloped by GetOutside Love. 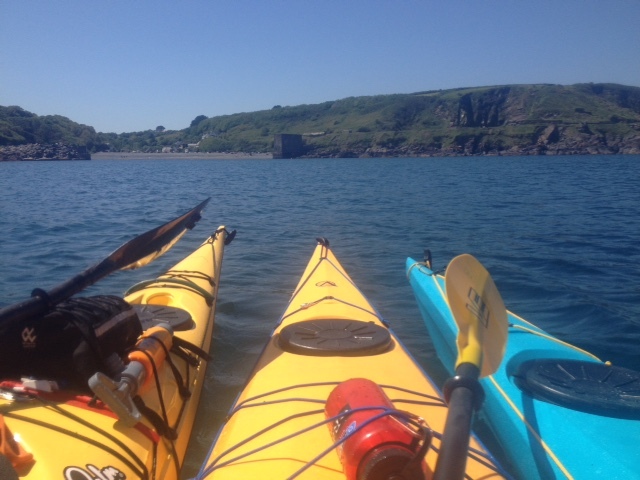 Like the time I was sea-kayaking off south Devon, researching for a Lonely Planet article on Five Classic Devon Adventures. We were shooting through gullies – slender channels between the rocks. The sea was surging a little, rising and falling with a not always predictable rhythm. We’d been going well so I was tempted to follow the instructor through what, in hindsight, was a particularly narrow gap. “Paddle!” shouted the instructor. “Which way? !” I called. “Doesn’t matter – just move!” Seconds later, I was on the other side, still afloat, heart pounding, laughing more than a little wildly. And I knew I loved this; discovering new ways to explore. It felt right. So my second 2018 GetOutside Resolution is to feel GetOutside Love at least every two weeks (fortnightly not weekly, because falling in love takes effort), hopefully more. I think of this as GetOutside Eyes – that expression on someone’s face of pure delight. When they’re outside and are not remotely concerned with how they look because they’re so caught up with how they feel. You see it in some photos when people are outdoors. It’s hard to pinpoint exactly what it is – perhaps it’s the breadth of the grin, the naturalness, the gleam in the eyes. It’s easier to say what it’s not – it’s not overly-posed or self-conscious because (see GetOutside resolutions 1 & 2) they’re loving the place, the people and feel alive in the moment. We’ve all got a kind of outdoors experience that’s likely to make us laugh – it might be walking the dog, taking baby steps with a toddler, or reaching the top of a crag or crowning the ridge of a high hill. Or perhaps like me, it’s the moment after the first chill of a sea swim wears off and the almost-pain eases and the laughter and whooping begins. Or – as here – perhaps it’s that slightly hysterical moment just before your first biathlon when the course for the sea swim suddenly looks very far indeed. Perhaps as for me, it comes after catching a wave for a glorious ride in. 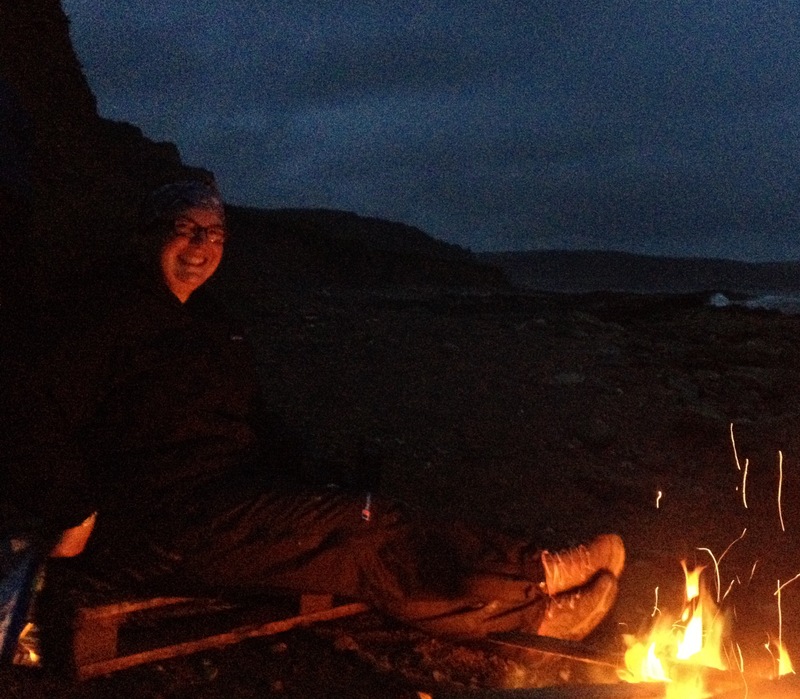 Or when warming my hands and feet beside a beach bonfire. Whatever prompts it, you could say laughter tends to sound better outside. So my third 2018 GetOutside resolution is to laugh and be gleeful in the outdoors, and probably whoop too, at least once a week (hopefully more). So, those are my Three Great 2018 GetOutside Resolutions. One’s I think I’ll love to keep. One in four British adults are obese. One in three English adults are on the cusp of obesity. When 2,000 people from the UK took part in an OS survey, only 40% of them could put London in the right place on a map. Our children spend six hours a day in front of a screen. For more outdoors inspiration head to the Ordnance Survey’s GetOutside website. From fun family activities to extreme sports, it’s full of ideas, advice, interviews and Beginners Guides. As the chalk dust settles on another Women’s Climbing Symposium, here are four ways in which this epic event more than delivered on its aims to connect, develop and inspire. And will actually help us GetOutside. There were fewer women than usual at the UK’s crags last Saturday. That’s because more than 300 of them had crowded into Bloc Climbing in Bristol. From the roads in, to the cafe, to the loos, you were suddenly surrounded by women of all ages, of all ability, who had a passion to climb. The person you’re swapping beta with might be a Himalayan first summiter or a new-to-climbing 60+-year old. It was devoid of status – an ego-free delight. 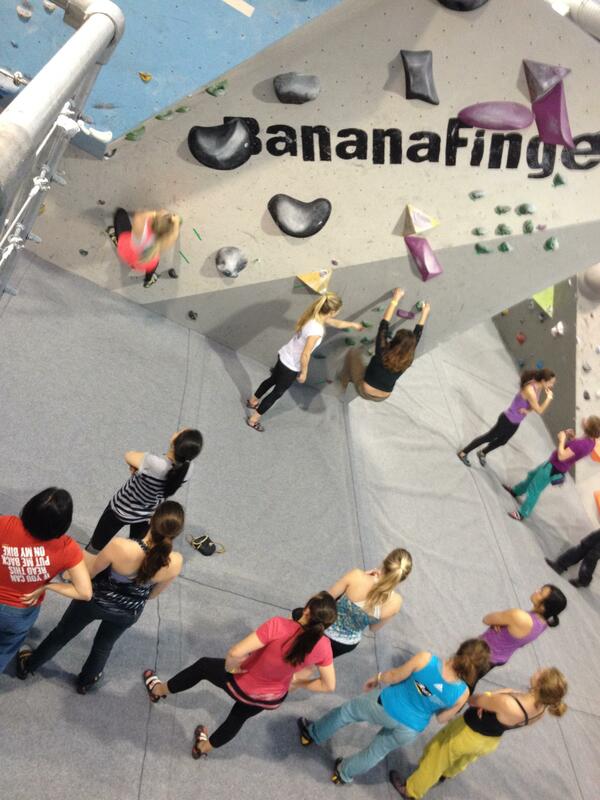 We worked on our technique in sessions led by world-class climbers. Dynos, footwork, movement, steep climbing and endurance were delivered by people like organiser and Bouldering World Champion Shauna Coxsey, and her climbing partner, Leah Crane. We also learned about the BMC’s campaigns, considered careers in the adventure sector with the RAB Panel and puzzled at the way women in the outdoors are represented, with Anna Paxton and Women in Adventure (it’s running a significant survey, complete it here). We crowded onto chairs lined up on wobbly bouldering mats to hear memorable speakers. The iconic Lynn Hill (catchphrase: “it goes boys”) was captivating and received a standing ovation. We were mesmerized by Anoushé Husain, para-climber, cancer survivor and ambassador for Limb Power, a disabled sports and arts foundation. Then came inspiring skeleton bobsleigh World Champion and Olympic silver medalist Shelley Rudman, trad specialist Sam Leary and mistress of the head game, Emma Wood. All over the country women are still talking about this event. Feeds are still fizzing with it. 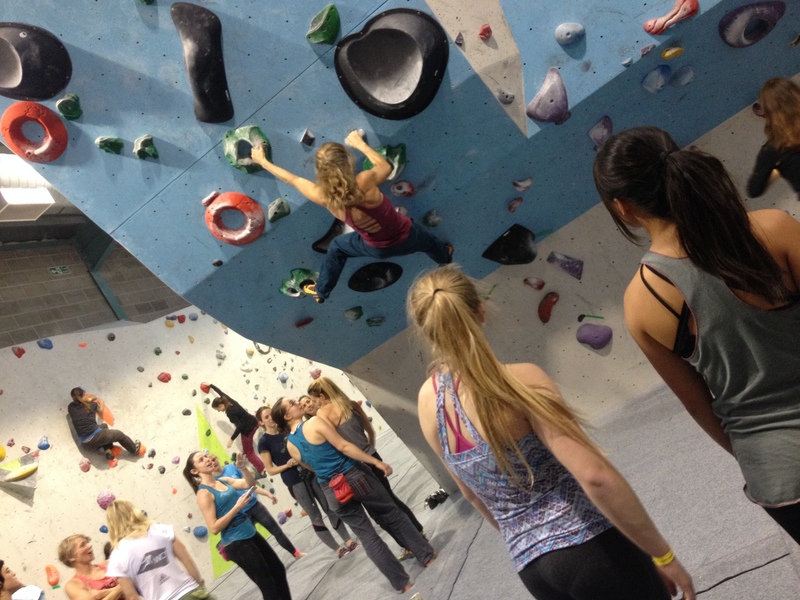 At my climbing wall men are frankly envious and women are still marveling (“I LEARNT DYNOS WITH LYNN HILL!”). We’re swapping tips on technique, mastering the head game, and recommended reads. And we’re still psyched from a day when all around us were hundreds of people just like us. When we learnt new skills, got chatting, got inspired. If this has got you itching to get out on the rock, check out the Ordnance Survey’s GetOutside Climbing guides. This summer I was lucky to be one of the leaders on a five-week British Exploring Society expedition to the Canadian Yukon. 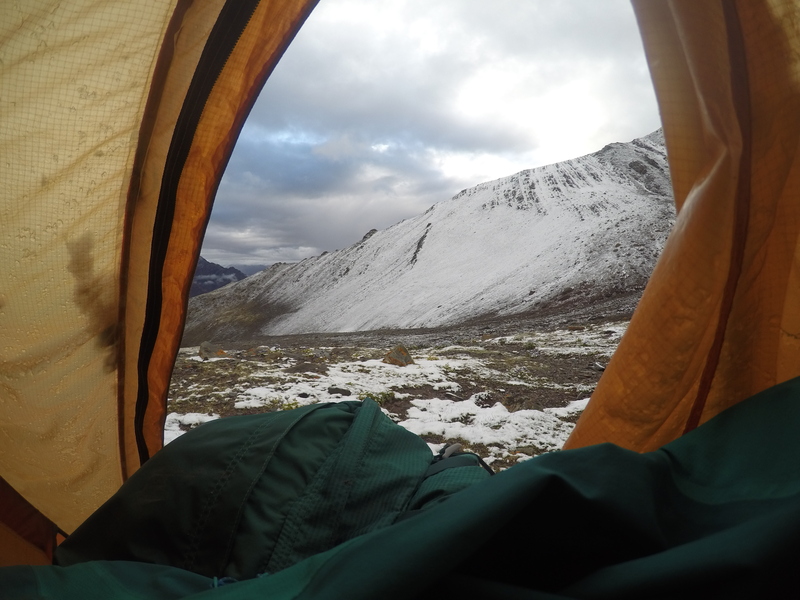 On that trip we trekked high hills, paddled rivers and camped wild in a remote wilderness. It was challenging, physically, mentally and emotionally. But it also forged the kind of friendships, and made the kind of memories, that last a lifetime. The expedition was an extension the simple process of getting outside – of working out where you are and where you need to go. And the things that got many of us started in this were maps. From the hills of Dartmoor to the rivers of the Yukon isn’t quite as big a journey as you might think. If songwriters are the philosophers of our times (and they are) a sense of feeling lost is a powerful thing. Whichever generation you’re from, whoever gets your toes tapping you can bet your last landmark that words linked to being uncertain, dislocated and adrift crop up. If that’s got your navigational toes tapping, check out my full article and my Music To Read Maps By Spotify playlist.